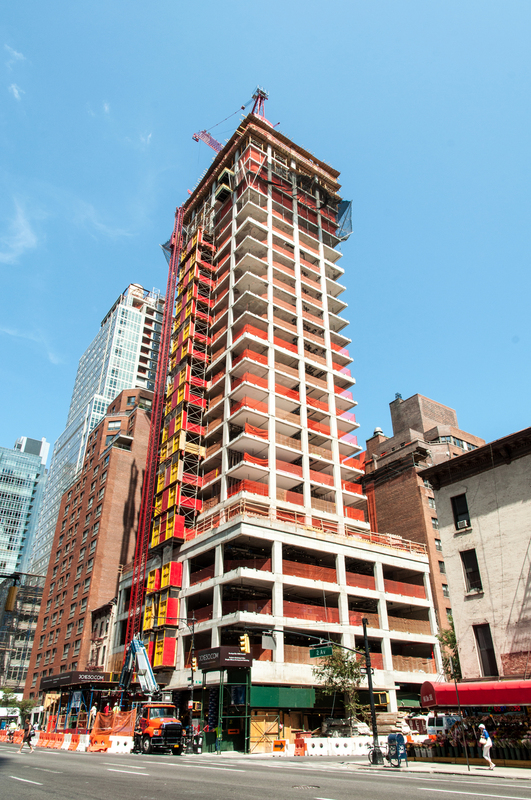 Structure has reached the 24th floor at COOKFOX's 29-story, 57-unit residential condo in Midtown East, 301 E 50. There is no sign of the Indiana limestone façade with brise soleil sunshades that serve as a primary strategy in the building's sustainable design. Lower floors have the façade anchoring elements installed into the concrete slabs which indicates the façade might not be absent for long. The northwest corner on Second Avenue. The western façade on Second Avenue. The southwest corner on Second Avenue. Looking north on Second Avenue. 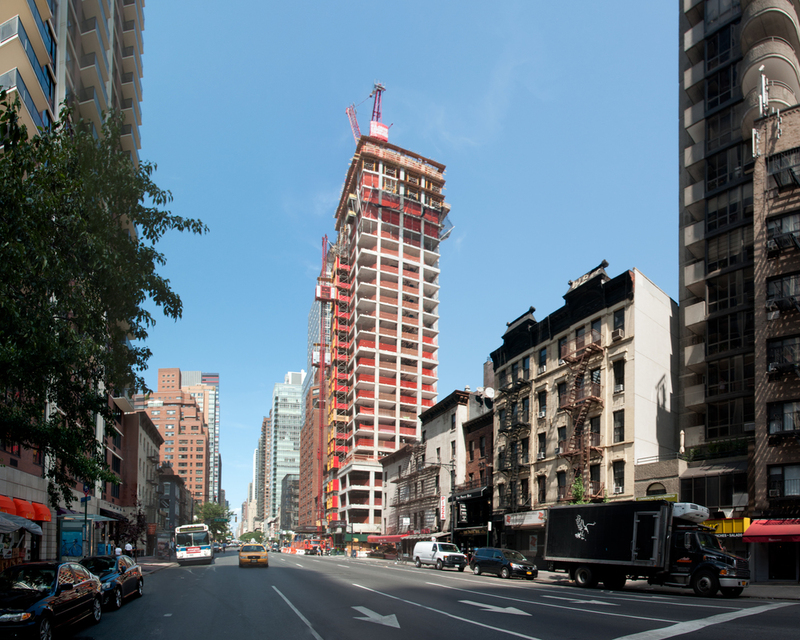 The southeast corner on East 50th Street. Looking west on East 50th Street. Detail of the tower structure with corner cantilever. Architects: COOKFOX Architects; Program: Residential, Retail; Location: Midtown East, New York, NY; Completion: 2015.